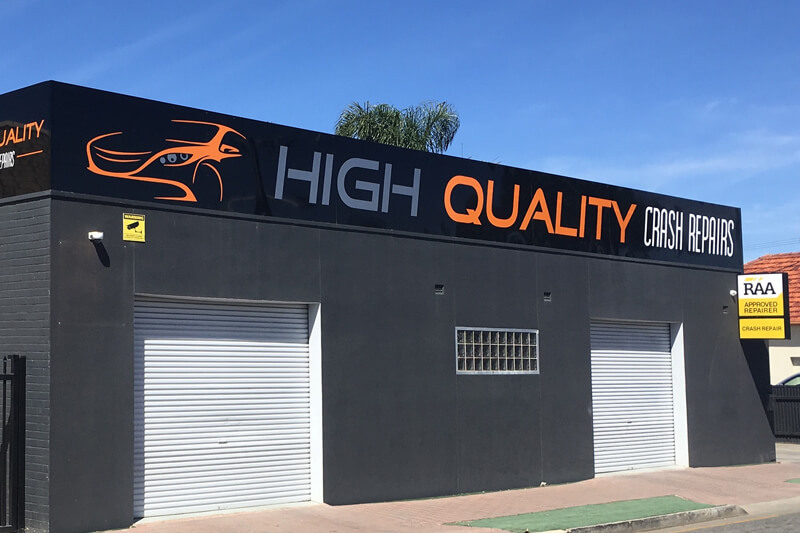 High Quality Crash Repairs at 1A Paringa Avenue, Somerton Park is a family owned business that has been serving the local community since 2008. We have earned a reputation for high quality work, prompt service and attention to detail. Our customers get a 100% warranty on all painting and repairs that we undertake. Managing Directors and business owners Ben and Adam Kelly have equipped the workshop with a state-of-the art chassis alignment bench, the latest tools and technology from around the world and a purpose built spray booth to deliver the best possible result for customers. In addition to the world’s leading chassis straightening platform and the equally awarded electronic paint matching system from Sikkens, you will also find High Quality Crash Repairs friendly and very easy to deal with. We are happy to liaise with insurers on our customers’ behalf to get the best possible outcome. Accidents can be traumatic and stressful enough without having to negotiate with insurance companies. Our aim is to make it a hassle free experience. Should you have the misfortune to be involved in an accident, call High Quality Crash Repairs on (08) 8295 4650 for high quality work, friendly service and a reputation you can trust.